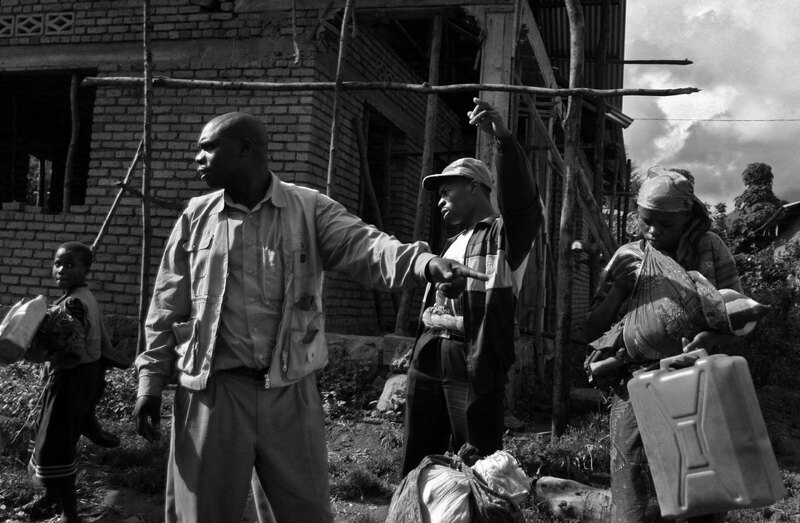 After finding his home village in Rwanda, a long lost friend points the former military rebel Leonard Hakokimano (wearing the cap) to the place where his mother still lives. Having not been home since fleeing his village following the 1994 genocide, Leonard was not sure if his family was dead or alive. Traveling with Hakokimano are his 11-year-old son, left, and his wife, who is holding their one-month-old son.